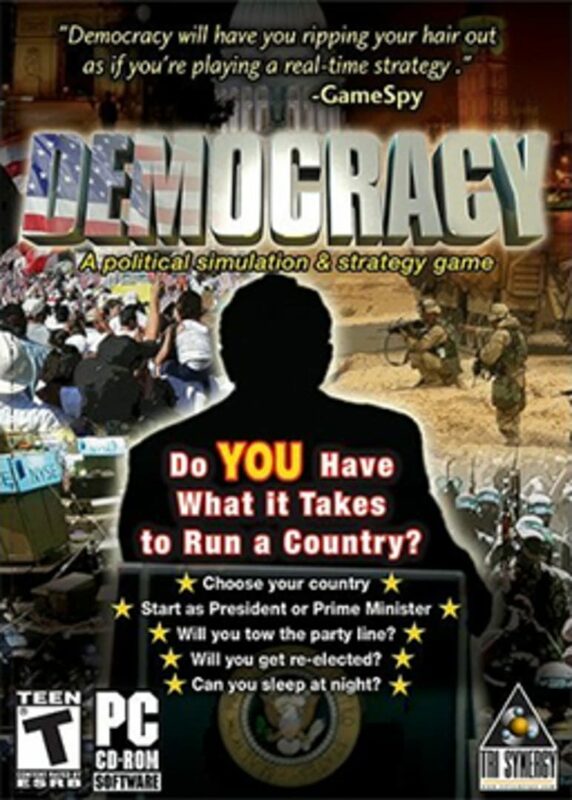 Democracy is a government simulation game that was first developed by Positech Games in 2005, with a sequel released in December 2007 and a third game in 2013. The player plays as if they are the president or prime minister of a democratic government. The player must introduce and alter policies in seven areas - tax, economy, welfare, foreign policy, transport, law and order and public services. Each policy has an effect on the happiness of various voter groups, as well as affecting factors such as crime and air quality. The player has to deal with "situations", which are typically problems such as petrol protests or homelessness, and also has to make decisions on dilemmas that arise each turn.